This isn't a pretty pantry makeover where we spent lots of money. Let me tell you right now that moving and downsizing, costs a LOT of money. How many of us have unlimited funds to spend? We're not raising our hand here at Casa Fanatic. This post should be renamed Organizing: Making Use Of What You Have And Spending As Little Money As Possible, but that name was too long. 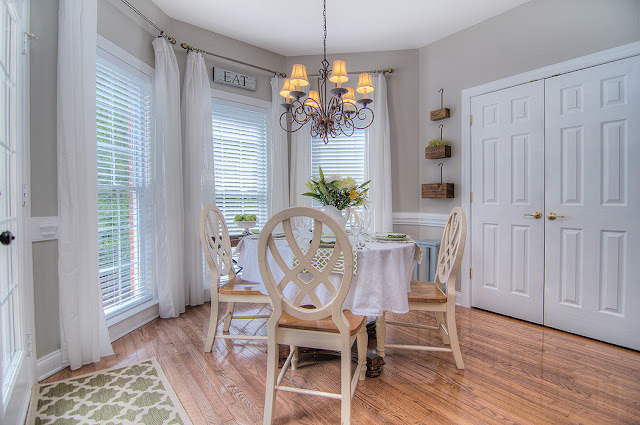 There are so many projects here to get the place organized, not to mention decorated, so my goal is to get the house to where it works for us without breaking the bank. FOUR 12" wire shelves that are 3 feet wide(full depth), then angled on both sides to 54"wide. To make matters worse, the shelves were held up by shelf support brackets that didn't allow for stacking. When I was complaining mentioning how I have less pantry space than in our last house, Mr. DIY said we had more pantry space at our 966 sq. ft Mountain Cottage! 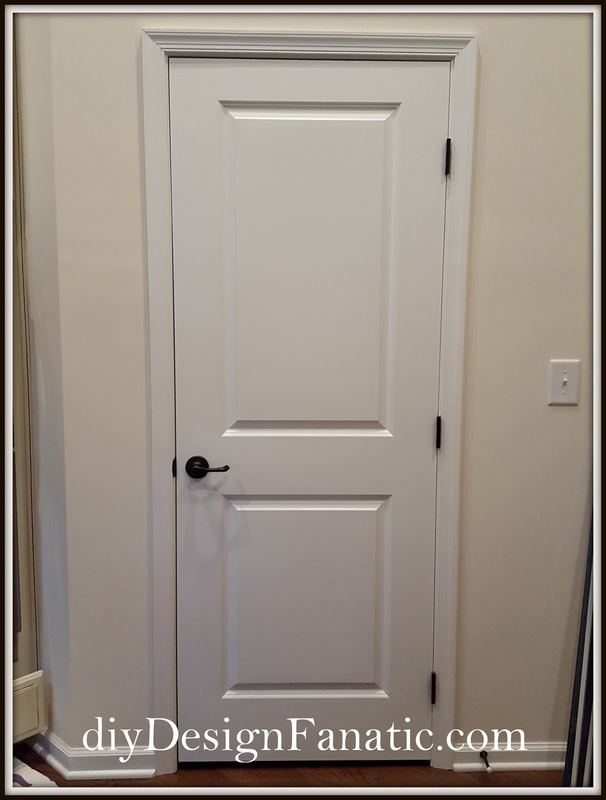 You can see the Vintage Style Pantry at the Mountain Cottage by clicking HERE. 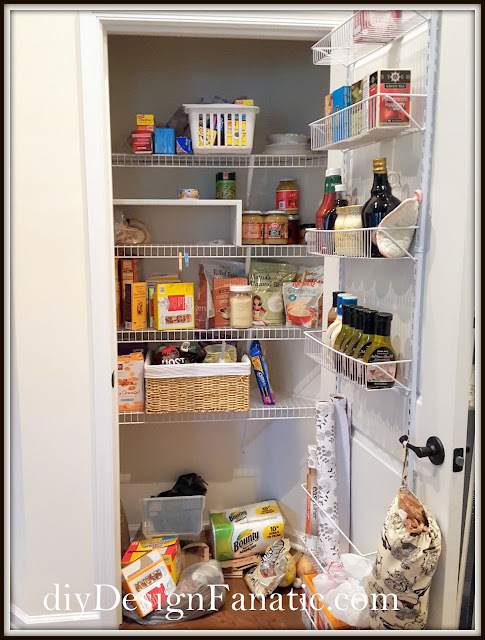 Knowing we were going to a 3 foot wide pantry with 12" shelving, before we moved, I pared down things that I didn't use and that were stored on both sides of the pantry returns. You can see how I organized our previous pantry HERE. First thing I did was utilize the existing storage on the door. Then, every inch of the angles were used. Command Hooks were used to hang the aprons and plastic grocery bag dispenser. These hooks have been a lifesaver in several places around the house. I love that they can be temporary- If I don't like where I've put something, it can be changed without filling holes and touching up with paint. One good thing about wire shelving is that you can see what's above. There, it is....Not perfect, but not bad for $30. Ok, so I didn't get all the 8 boxes of pantry items in the pantry, but I did get all the food and paper goods in. That left all the small appliances, candles, plastic utensils, baking supplies, cookie cutters, etc left to store. Mr. DIY had a GREAT idea. There was a 2nd coat closet in the hall just outside the kitchen. 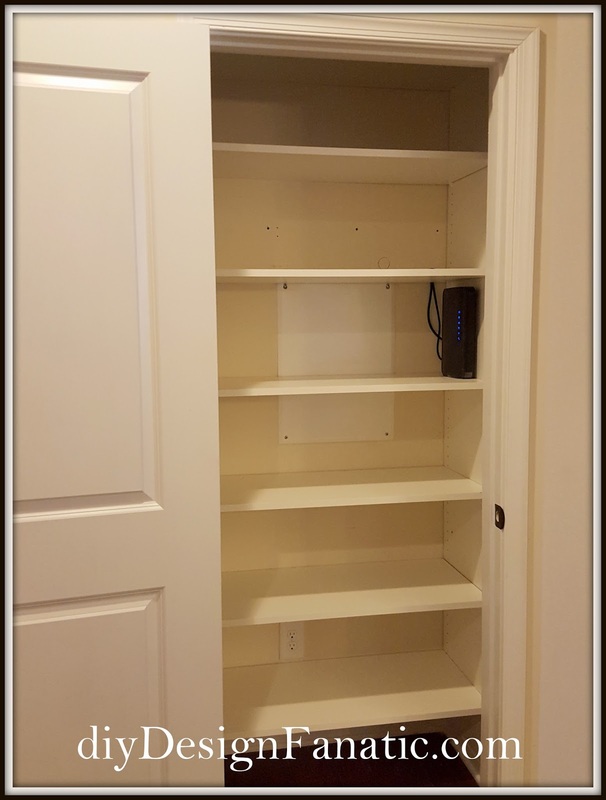 This closet cost a bit more because he purchased adjustable melamine panels and 16" deep shelves. I discovered that Mr. DIY added a 12" shelf wayyyyyy up top. After I took the pics, I moved some rarely used items up there, which freed up more space for cookbooks on the shelves. Lots of adjustable shelves are a beautiful thing! The two pantries together give me about 83 inches( I count the angled sides of the food pantry as half); which gives me about the same space I had in my pantry at the old house. Now to work on the 6 ft less of cabinets I'm missing in this house! Is there somewhere in your house that could use more space? You've made some great headway. 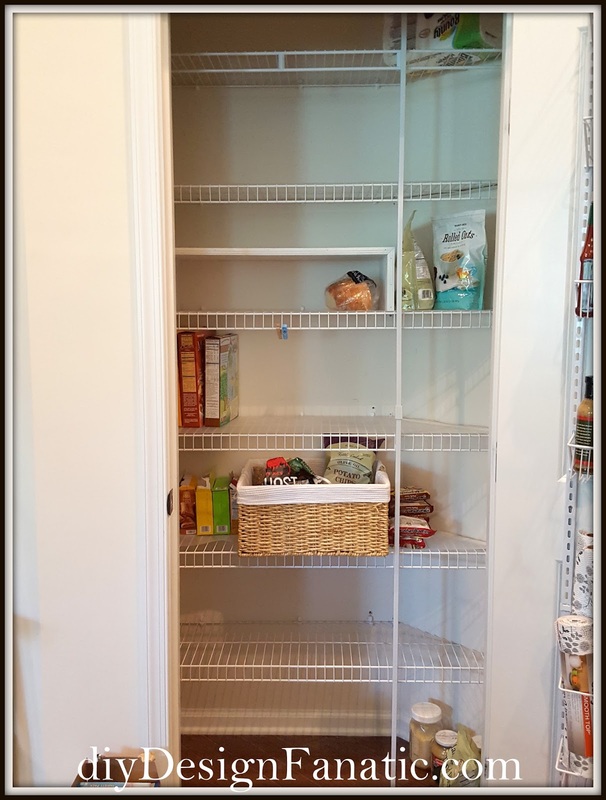 The pantry storage looks so organized and I agree the wire shelving offers the advantage of seeing through it which comes in handy. I guess with any home there's always some awkwardness in moving your things in. Looking good! The white baskets are labeled: breakfast bars, condiments, seasoning packets, ramen and Jello, cocoa and pudding. What a great use for the other closet. I'm about to do a serious clean out of my house. We have too much stuff & need to get organized. Thanks Gail! Just as many don't have unlimited funds, we don't either and have to prioritize. As much as I dislike wire shelving, it's doing the job we need it to and that's the most important thing right now. Saving $$ for some pretty stuff. 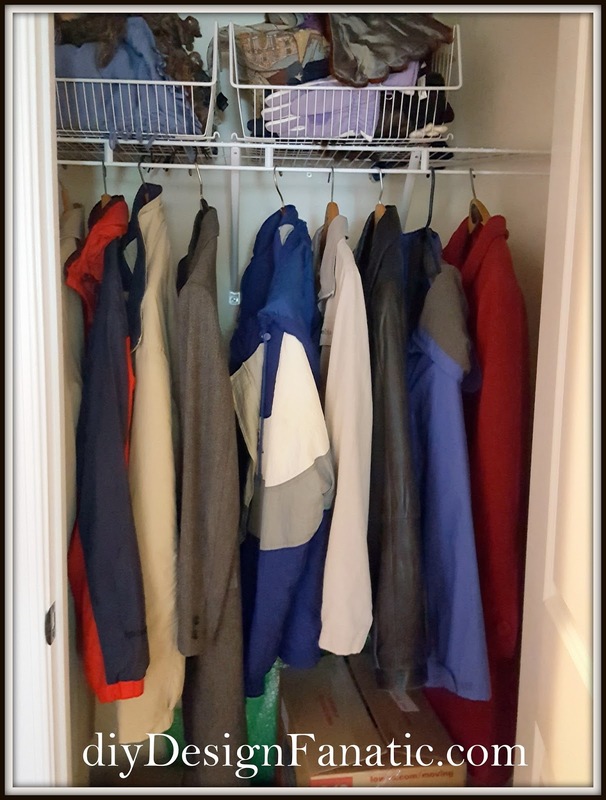 When it comes to organizing any storage area, the key is to remain as neat and tidy as possible. It is fine even when you have an entire load of things, but if you ensure clutters do not form, then the space can be well-maintained for a prolonged period of time. Shelves and racks help to handle this issue by keeping things in place.